Many content marketers struggle with applying analytics to help make better decisions on their content. No one can capture data from the future. But there is a way predict the future using data from the past. 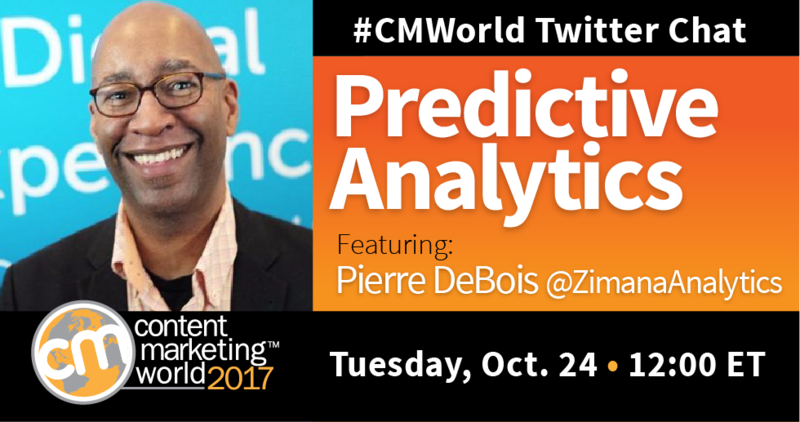 That’s why we invited Pierre DeBois, Founder of Zimana Analytics, to join a recent #CMWorld Twitter chat. The following is a summary of our discussion. For more insights, check out our Storify recap. How can marketers foster the use of predictive analytics in their organizations? Is your team using predictive analytics? Let us know in the comments below. Make plans today to attend the 2018 Intelligent Content Conference – and get the biggest registration savings. Sign up now.